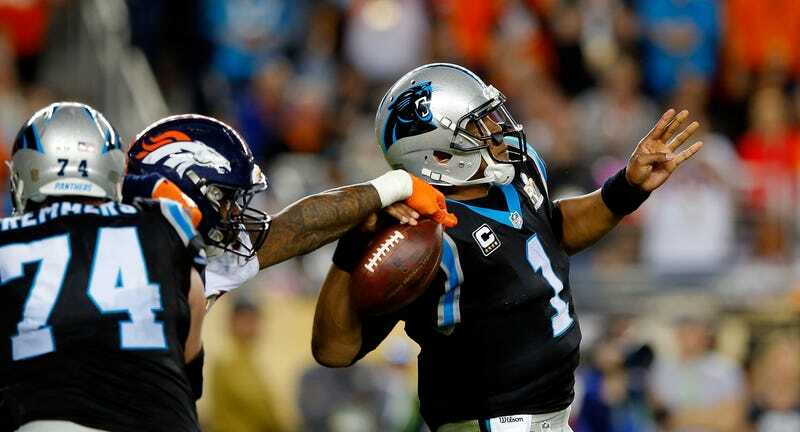 Von Miller’s strip-sack of Cam Newton with just over four minutes left to play will surely go down as the most memorable play of Super Bowl 50. But it’s hard not to wonder what would have happened if Miller had reached Newton just a second later. Based on the coaches film, it looks like the Panthers were in for a big play if not for Miller’s intervention. None of this is to say that the Panthers would have certainly come away with a 25-yard gain if not for Miller’s impeccable timing—maybe Newton would have overthrown the pass, or perhaps Funchess would have dropped it—but it does add a bit more shine to Miller’s play. In one moment, the Panthers were down 16-10 and Newton was uncorking a throw that could have ignited a game-winning drive, and in the next the game was over.